The massive contract comes after MengXin tested Doosan’s products and found their performance to be outstanding yet efficient in terms of fuel consumption. Doosan’s profit margins have witnessed an upward trend in recent times owing to the company’s improving product sales in China. 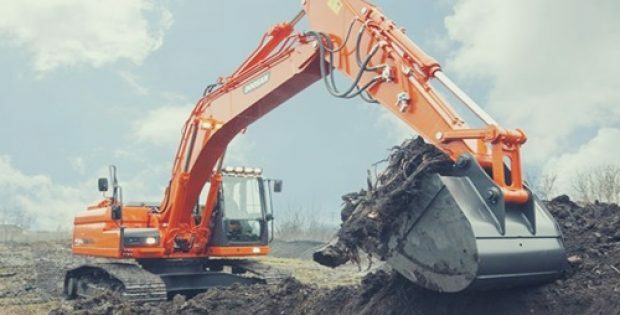 Doosan Infracore (Doosan), a renowned South Korean Construction machinery manufacturing firm, has reportedly announced that it has signed a 36 excavator supply deal with leading Chinese mining company, Neimenggu MengXin Group (MengXin). Reports cite, the massive supply contract comes after MengXin tested Doosan’s products over a two-month period and found their performance to be exceptional yet efficient in terms of fuel consumption, making them ideal additions to the mining company’s portfolio. According to a report by International Mining, following the two-month testing period, MengXin Group has also decided to appoint Doosan Infracore as the company’s primary supplier. The 36 excavators to be supplier by Doosan would be deployed across MengXin’s existing mining portfolio located in the major mining district of Inner Mongolia. Doosan would reportedly be supplying six units of its 80-ton excavator DX800, 10 units of its 38-ton excavator DX380 and over 20 units of its 52-ton excavators DX520 to the MengXin Group for its operations across Inner Mongolia. As one of South Korea’s leading construction equipment manufacturers, Doosan has witnessed an upward trend in its profit margins in recent times owing to the company’s improving product sales across China, which is one of the company’s key markets. Market experts reportedly claim that domestic excavator sales in China have almost quadrupled over the last year to approximately 184,190 units as compared to unit sales back in 2016. Doosan Infracore sales also have experienced a surge of about 44% in 2018 as compared to previous year with over 15,630 of the company’s units being sold. According to reports, the financial terms related to the 36 excavator supply contract have not been disclosed by the two firms yet.